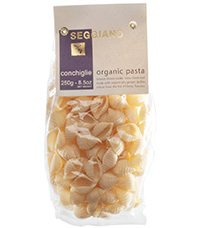 Made with real ingredients (non-GMO) without artificial ingredients and preservatives, Seggiano food products set a standard for prepared food that is hard to match even in your own kitchen (they grow the olives used to make the olive oil) so don’t feel guilty about buying a prepared food because next to homemade, Seggiano is best. 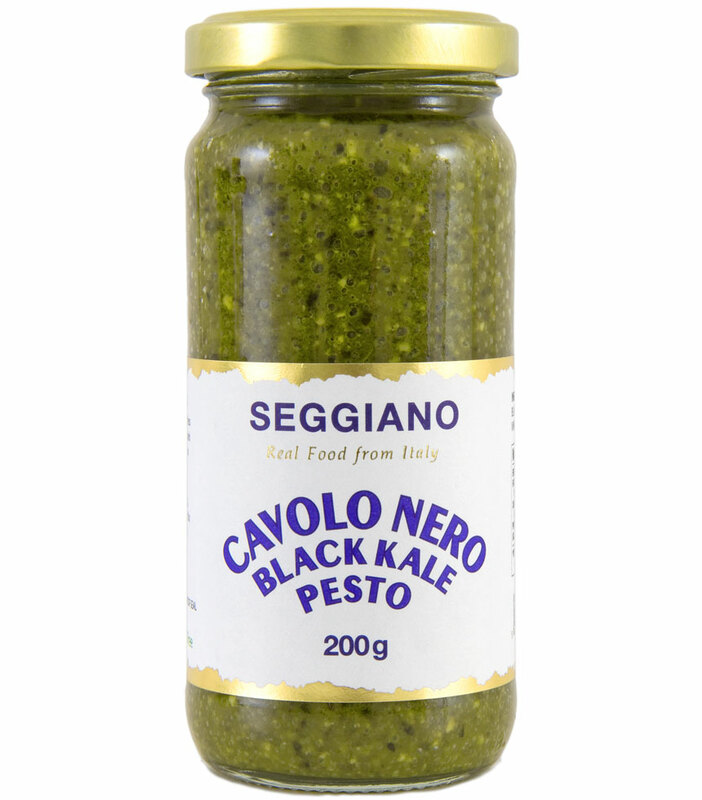 Seggiano recently introduced a new product: Tuscan Kale Pesto which is made with six ingredients: extra virgin olive oil, Tuscan kale (43%), cashews, sea salt, vinegar, and citric acid. Similar to traditional pesto, Tuscan Kale Pesto is made with dark leafy green black kale or what is called “cavolo nero” in Italy, a hearty winter vegetable, instead of basil. 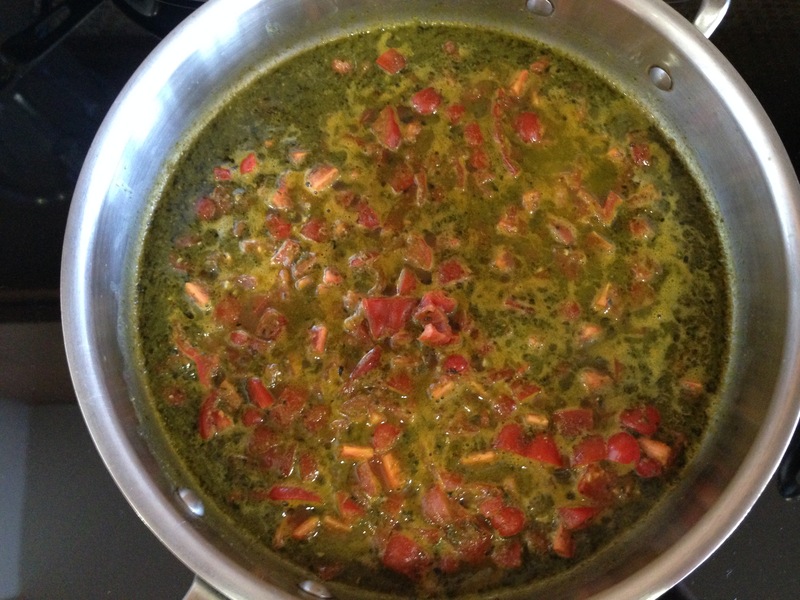 The result is a rich dark pesto sauce that tastes delicious blended with fresh pasta and vegetables. Vegan and gluten-free, Seggiano Tuscan Kale Pesto comes in a 7.1 ounce jar (200 grams) and is available at Whole Foods Markets for $9.99 a jar. 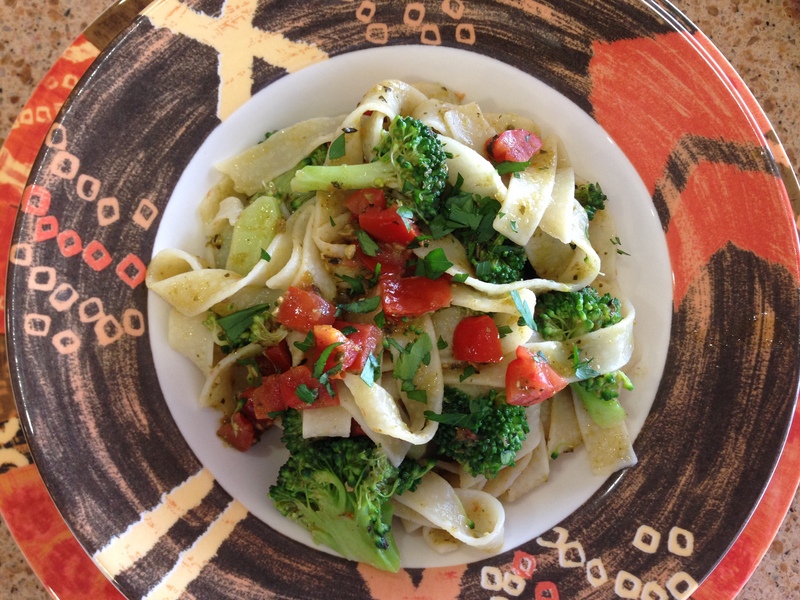 Consider making Tagliatelle with Tomatoes and Tuscan Kale Pesto which is made with 7 ingredients: Seggiano’s Tuscan Kale Pesto, low sodium (or no salt added) vegetable broth, tomatoes, broccoli, tagliatelle, parsley, and seasoning. Some people find pasta impossible to eat without sauce and cheese while others prefer pasta blended with sauce and vegetables. Me? 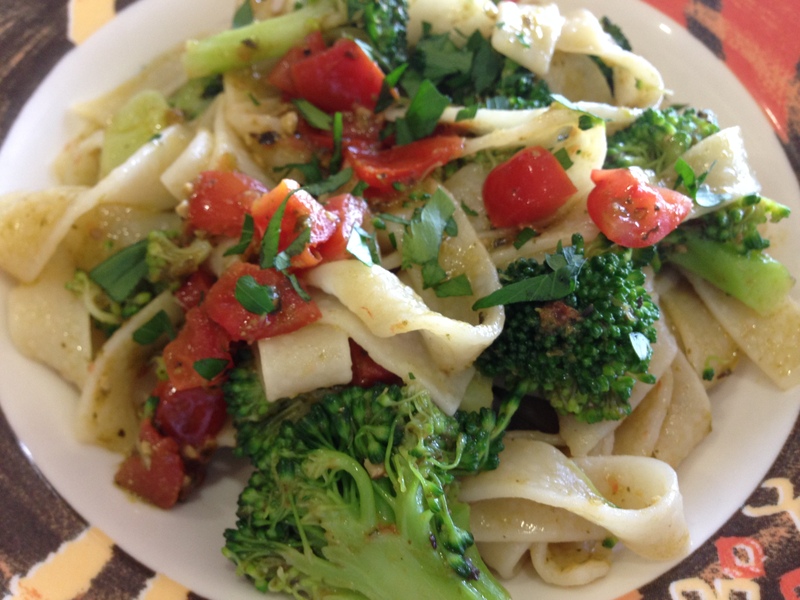 I’m a sauce and veggie girl which is why I use tomatoes and broccoli (but feel free to substitute other vegetables if tomatoes and broccoli are not handy) combined in a light kale pesto sauce to make this main course. 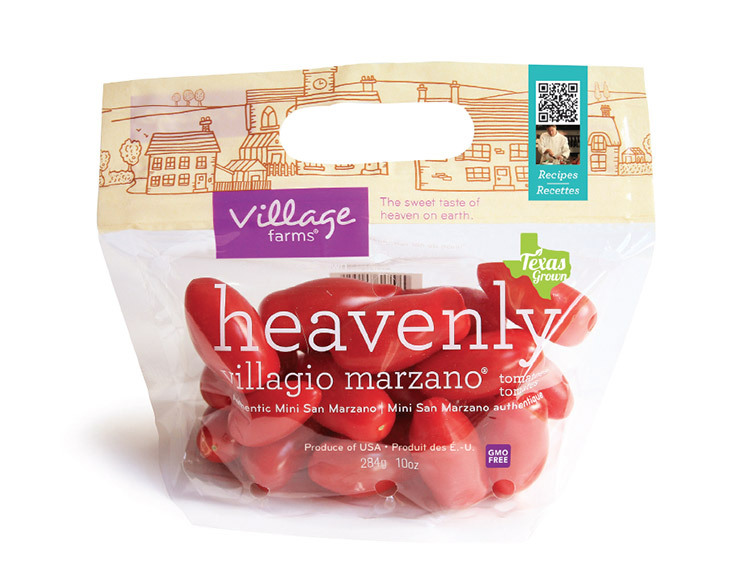 For tomatoes, Villagio Marzano Tomatoes are highly recommended because of the sweet flavor of these “heavenly” tomatoes. Sold in 10 ounce plastic bags, these sweet morsels are available at most grocery stores nationwide including Trader Joe’s. Steam the small broccoli florets until cooked but firm. Rinse and set aside. In a large sauté pan, whisk the pesto with the vegetable broth. Add the seasoning. Increase the heat to medium and bring to a low simmer. Add the chopped tomatoes and simmer for 2-3 minutes. Turn the heat off and remove the pan from the heat. Cook the tagliatelle according to the directions. Drain and then add the pasta to the sauté pan along with the cooked broccoli florets. Increase the heat to medium-high and toss/stir the pasta and sauce until completely heated through. Divide among four pasta plates or bowls. Place a dash of salt and/or pepper on each serving. 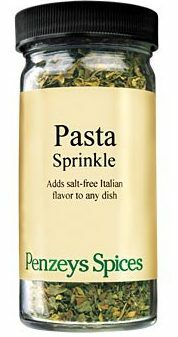 Sprinkle freshly chopped parsley over the pasta.